In this first category, we review true POOL alarms that go in the pool itself. Since some subsurface models support surface wave detection as well, it makes sense to bunch these two alarm types together. Thinking about pool safety? Be sure to also check out our article on Pool Covers explaining which covers qualify as Safety Pool Covers and another one reviewing Pool Ladders and Steps. Lifebuoy is designed to detect when a person or pet has fallen into the pool, and it emits a loud noise from poolside and from the home unit, which is a part of it. You can easily control the alarm with the App or the home unit button. This alarm is 100% mobile, so you can take it with you on vacations or at a friend’s house. It’s easy to install, and it doesn’t activate if it’s not floating in the water. According to the manufacturer, this is the only pool alarm that can work if the cover is on. This alarm is easy to use and install, and it has useful features like deactivating when not in the water and auto-activating after there was no more activity in the pool. That means you don’t have to worry about turning it back on every time you finish your fun time in the pool. Works even with the pool cover on. Auto-deactivates when is not in the pool and auto-activates inside the pool after 10 minutes of lack of movement. May not work properly with big pool pump, waterfalls, automatic cleaners, storms etc. The PoolGuard PGRM-2 is an in-ground surface pool alarm with an in-house receiver and a 12v battery supply. It’s tamper-proof, so once installed only an adult (using the included magnetic key) can remove it from the pool and put it into sleep mode. Unlike most competitors who only provide a 1-year warranty, this one comes with a 3-year warranty. It also utilizes proprietary sensing technology that reduces the likelihood of false alarms. The unit’s unique shape facilitates quick and easy installation and removal, especially when compared to other models that float around the pool and can be a hassle to retrieve. A number of reviews suggest that the PGRM-2 is incredibly accurate, with several people reporting no false alarms even after months of use and repeated exposure to stormy weather. Users note that the alarm goes off when a ripple comes within a certain distance of the sensor, so something falling into the water across the pool might trigger the alarm in around 10 seconds, while something entering the water closer to the sensor would trigger the sound within 3-5 seconds. The only other concern seems to be that the instructions for disarming and removing the alarm are somewhat vague. FYI: to disarm it, you hold your key to a button on the back and it gives you about 5 seconds to set the unit aside. Sensor unit can transmit alarm to in-house receiver up to 200 feet away. Known for not giving off false alarms. If something falls in the pool far away from the sensor, it can take a little while for the alarm to go off. Poor instructions according to customer reviews. The Pool Alarm Electronic Monitoring System is a subsurface pool alarm designed for use with in-ground pools (or decked above-ground pools). The included receiver has a range of up to 300 feet and comes with a 12-volt power supply. The alarm makes use of six D batteries that are not included in the package. This particular model is very simple to install and use. You can switch it on as soon as you are done swimming using the control button. The 100 dB is quite a sound that will certainly provoke an action. Reviews for this model are mostly positive. As many as 56 % of reviewers gave the product 4 or 5 stars. The buyers appraise the loudness of the alarm, its simple installation and operation. Several costumers criticized false alarms and the fact that it is not usable with deck-less above-ground pools. To ensure the utmost safety it’s a good idea to equip the area with alarms on any doors, gates, or windows that lead directly to the pool. The PoolGuard GAPT-2 is designed to be used on outdoor pool gates, emitting a loud horn alarm within 7 seconds of the gate being opened. If an adult passes through and can close the gate and press the “Pass Thru” button before then, the alarm will not sound. The package comes with 6 feet of UL-approved wire, a sensor switch, and a magnet used to secure the sensor to the gate. The bypass and delay functions included with this gate alarm are what make it preferable over most of its competitors. It’s by far the easiest for adults to use without triggering the alarm. If you decide you like this design of a gate alarm, it may be worth to check out other door/gate models by PoolGuard. Apart from various accessories, there are models with slightly different applications. Reviews for this product are highly positive, with about 86% of reviewers rating it at 4 or 5 stars. There are only a couple of reviewers who rated it lowly because they were annoyed by having to press the bypass button every time, but that’s a feature that should be expected on any good gate alarm. Low battery indicator will alert you before the battery level starts affecting the loudness of the horn. Has an adult pass-through feature that makes it easy to avoid false alarms. Sounds after 7 seconds of the gate being left opened, thus ensuring that someone can’t leave your gate open for pets or children to enter the pool area. The YG18 Programmable Gate/Door/Window Alarm from SmartPool is a well-rounded pool security and safety system that includes everything needed to mount an alarm on a single door, gate, or window. The exterior is water resistant and the alarm is known for being one of the loudest on the market. One feature that you’ll find in the YG18 that you won’t see in many other competitors is a programmable keypad that can be used to set an optional 4-digit PIN code for deactivating the alarm. Of course, this feature helps the unit double as a security device, ensuring that unauthorized adults don’t take advantage of the device’s adult pass-through feature. There is an automatic chirp sound when the batteries are low. Reviews are mostly positive with about 63% of reviewers rating it at 5-stars. However, there are a few reviewers complaining about the batteries getting hot, occasional malfunctions, and the difficulty of adjusting delay settings. Incredibly loud alarm 120 dB – 95 dB at a distance of 10 feet. Convenient adult pass-through feature allows you to choose between 7 or 15 second delay to shut the gate before the alarm is triggered. Chirps when batteries are low. Requires 6 AA batteries for operation and you have to unscrew 5 tiny screws just to replace the batteries. A small screwdriver is needed but not included. The switches for choosing between 7 or 15-second delay are located within the battery compartment, so you also have to unscrew it to change this setting. Will not work on chain link fences or other gates where the gap between the fence post and gate rail is greater than ½ inch. Some users have complained about the units overheating and shutting off after prolonged use. The Techko S187D Safe Pool Alarm is an effective method of alerting you if children or pets get into the pool area. This pool gate alarm is attached to the door or gate on a fence and sets off a 110-dB high output alarm when the magnetic sensors are separated. This alarm features two clever sensors for use on a secondary door or gate, like a screen door. A valuable feature which you might like is it’s ETL listed and approved under UL 2017. Hence it’s safe for use. Since it is weather resistant – sun or rain, this pool alarm is safe to use in both indoor and outdoor pools. The Techko S189A Ultra Slim Pool Safety and Entry Alarm is a multipurpose exit alarm that can be mounted on a gate or door. It has an an adult bypass button that allows you to prevent the alarm from going off, but if you don’t press that button before exiting it will sound a 110 dB alarm continuously until the button is pressed. This model meets current UL standards and is ETL-listed. Unlike many models that allow for a delay of 7 or more seconds before sounding the alarm, the Techko S187 triggers immediately as soon as the magnetic link between the latch and the sensor is broken. This is a hugely popular crowd favorite with plenty of reviews and a predominantly positive response. About 80% of reviewers rated it at 4 or 5 stars. Only 15% gave it a 1-star rating. The sparsely distributed complaints are mostly related to the odd malfunction or defective unit, while the rest of the mostly positive reviews center around the loudness of the alarm, ease of installation, and how great it is to get a pair of sensors and a pair of bypass buttons at one relatively low price. Alarm is triggered instantly – no delay period. Older kids can easily figure out the one-click bypass button, so it’s important to keep that feature a secret from the little ones so they don’t catch on. A 110 dB noise that comes out of this is not something you want to experience often, so it’s a good idea to take steps to prevent false alarms if you want to avoid being severely annoyed. Wristband alarms are excellent accessories to throw into your pool safety arsenal. If all else fails, your child’s wristband will sound an alarm on an in-home receiver if it is ever submerged for more than a couple seconds. On top of that, because these are independent of your own yard and pool, you can also use them when near lakes, ponds, reservoirs or rivers. 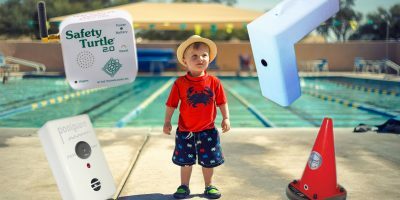 The Safety Turtle 2.0 Child Immersion Alarm Kit is designed to serve as a fail-proof way of knowing when your child enters any body of water. It comes with one wristband and an in-house receiver that can be heard clearly both indoors and outside. This particular wristband kit is marked by its green turtle design that stays true to the Safety Turtle image. The plug-and-go functionality also makes it easy to use out-of-the-box. Reviews are mostly positive, with about 51% of reviewers rating it at 4 or 5 stars. There have been a few complaints about the durability of the wristband itself. Some noted that the alarm wasn’t as loud as some of the surface and subsurface alarm options out there. All of the above products meet the ASTM F2208 Standard Safety Specifications for Residential Pool Alarms and are therefore worthy of being considered the best on the market. Unfortunately, not all pool alarms passed the test, and some have flaws that make them ineligible for the above list. Techko SO87 – Although inexpensive and appealing at first glance, this one is notoriously difficult to install. So even though it passed the GH safety test, it can’t be recommended due to this unavoidable caveat. Doberman Security Pool Alert – At less than $20 it is to be expected that this one wouldn’t be the most reliable pool alarm out there. About 65% of reviewers have rated it 1-3 stars. SmartPool PE22 – Failed GH safety test. Pool Patrol PA-30 Pool Alarm – Failed GH safety test. Allweather Pool S.O.S. – Failed GH safety test. 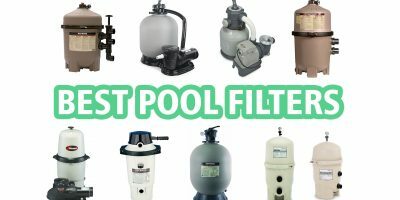 Although some of the above models may be popular sellers, we can’t rightfully include them on a list of what is supposed to contain only the best pool alarms. Of all the recommended pool safety measures, alarms are perhaps the most reliable and useful. Fences can be left open inadvertently and children can also climb over or circumvent them, and a sign won’t always deter a little one who can’t yet read. On the other hand, a properly installed alarm is nearly guaranteed to notify you whenever someone approaches or enters your pool. Surface Wave Detection Alarms → These alarms rest on or above the surface of the water and utilize sensors to detect when an object or person has fallen into the pool based on wave activity. Some models need to be removed from the pool while swimming whereas others can be disabled/enabled manually and will rearm themselves automatically when the pool is vacated. The upside of surface alarms is that they’re highly sensitive to activity, but that’s also their downside because they tend to put out more false alarms than subsurface alarms. Subsurface Alarms → The CPSC found that subsurface alarms were the most consistent in their ability to initiate alarms without causing as many false alarms as their surface-based counterparts. This is because the movement has to occur slightly below the surface of the water to trigger the alarm, rather than above it where birds, leaves, and other wind-driven and airborne objects can cause false alarms. 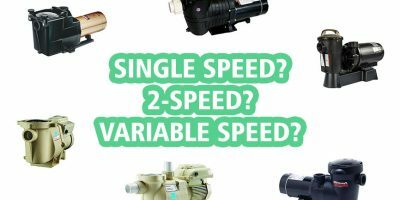 Surface and subsurface alarms tend to be more expensive than the other two listed below, but they’re some of the most essential components in any comprehensive pool safety setup. Door/Gate and Perimeter Alarms → These alarms are designed to notify you whenever someone opens a door, gate, or window that leads directly to the pool. Perimeter motion sensors can also be used to detect when something comes within a certain distance of the water. 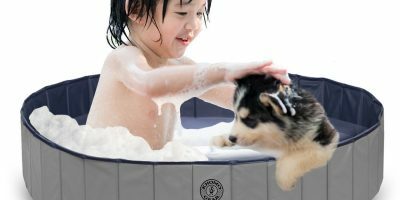 These alarms act as the first line of defense to help you get an early warning before your child or pet has made it close enough to the pool to jump in, so we highly recommend that you incorporate them into a multi-faceted strategy. Wristbands and Personal Immersion Alarms → Finally, once you’ve secured the perimeter of the pool area and the surface of the pool itself, an extra step you can take to ensure the utmost safety is to equip your little ones with wristbands that will send an alarm to your receiver when it’s submerged in water. Such alarms can serve as a last line of defense in case all of your other systems have failed to notify you. Although using all of the above alarm types might give you an occasional false alarm, it’s always better to be safe than sorry. 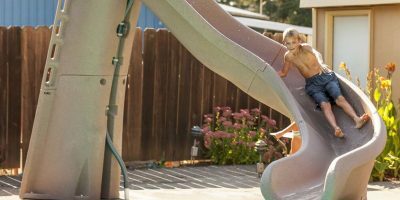 Plus, there are options in each category ranging in cost from $20 to $200+, so starting with a basic level of pool safety is doable even on a tight budget. Every year more than 500 children drown in the U.S. and another 2500 incur serious injuries due to near-drowning incidents. According to a fact sheet on unintentional drowning from the CDC, an average of 2 children under the age of 14 drown per day. Statistics from the World Health Organization state that there are more than 370,000 deaths caused by unintentional drowning each year worldwide, with the highest risk groups being children aged 1-4 and the second-highest risk group being children 5-9. Pet owners face the same concern, with an estimated 5,000 pets drowning in residential swimming pools each year. In fact, drowning is the 2nd leading cause of death related to unintentional injury in the U.S, and it ranks as one of the top 5 causes of death for people under age 14 in nearly 50 countries. Sadly, many of these tragedies could’ve easily been prevented if the parent or caretaker of the child/pet had taken a few simple precautions. 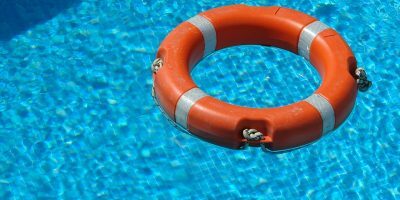 To reduce the frequency of accidental drowning, the government has even launched a public education campaign called Pool Safely – an initiative that teaches guardians how to prevent unintentional drowning. 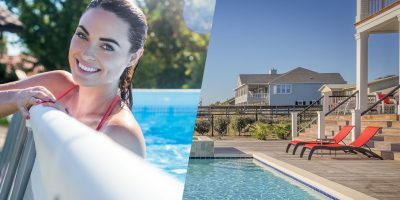 As you can see for yourself in the video below, one of their 7 seven safety tips is to “install proper barriers, covers, and alarms on and around the pool.” Interestingly, the alarm used in the video is the PGRM-2 by PoolGuard is featured in this article. According to an evaluation of swimming pool alarms conducted by the Consumer Product Safety Commission (CPSC), children and pets should always be supervised, and pool owners should utilize fencing, covers, and other components to ensure complete safety at all times. Be sure to also check out our article on Pool Covers explaining which covers qualify as Safety Pool Covers. In response to the above statistics, many states have passed legislation requiring that certain safety measures be taken by residential pool owners. For example, in California the Swimming Pool Safety Act requires that the pool be enclosed and that exit alarms be placed on all doors and windows that provide direct access to the pool. Florida has similar statues in place with their Residential Pool Safety Act, as do many other states. Although the laws vary by state, generally the requirements involve surrounding the pool with an enclosure at least 4 feet high and using alarms to secure the area. In the end, we can all admit that our children and furry friends are too precious to put at risk over a rushed or uninformed buying decision, so it makes sense to do your research before choosing pool alarms and safety equipment. After all, this is a crucial investment that provides both security and peace of mind in exchange for a one-time expense, giving you the freedom to relax knowing that your kids and pets are always safe from entering the pool unnoticed.